With ambitious scope and profound depth, Potter (Arctic Spectacles) deftly demonstrates that truth can indeed be stranger and more fascinating than fiction … This seamless blend of research and captivating storytelling showcases the curiosity, frailty, and endurance of the human spirit. Just as Franklin and his contemporaries deserve a better remembrance in Britain, Russell Potter’s thoughtful, generous, deeply informed and elegant book deserves to be read. It cannot be recommended too highly to anyone wanting to reconnect with this extraordinary chapter in Britain’s history, or succumb to its haunting fascination for the first time. Potter is a skilled writer, and more importantly a generous and patient historian, willing to retell key points for layman’s reading. He is the kindest breed of academic: the sort who let you believe you’ve done their heavy-lifting. To this end, he cleverly introduces small historical details early to later help readers corroborate facts for themselves. [He] cedes enough room for readers to form theories and interpret the mystery independently. Few histories allow for this kind of approach, and in Potter’s hands Finding Franklin takes on an engaging choose-your-own-adventure quality ... 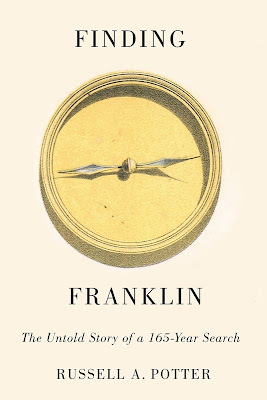 While he acknowledges ongoing exploratory efforts and speculates levelly on our best shots at learning more, there’s a sense this author knows legend itself is how Sir John Franklin will continue to captivate popular imagination, and Finding Franklin revels in its subject’s great and unknown mystery. With a broad thematic structure and well-drawn historical narrative, it seems crafted deliberately to feed the beast. As a professor of English and Media Studies at Rhode Island College, [Potter] understands the Franklin tragedy and the many, many searches from a cultural perspective. The searchers themselves (with sometimes unhappy endings, including poisoning and suicide) are as much of interest in this book as the object of their searches ... He is engaging, interweaving his experience with solid research. It helps tremendously that he is a capable narrator, a skill he demonstrated in a well-received recent novel, Pyg. This is the book that everyone who was intrigued by the news that Sir John Franklin’s flagship, HMS Erebus, had been discovered by Parks Canada in the Canadian Arctic in September 2014 has been waiting for . . . Potter succeeds in combining what has been discovered and the often-eccentric characters of the searchers into an informative, readable tale that will appeal to the neophyte while still presenting new snippets of information for the eager expert. Finding Franklin is a compelling book. Potter is one of the most respected Franklin scholars in the world and this volume shows us why. He has an intimate familiarity with the vast material on the search and understands - better than anyone else - its place within the cultural imagination. Dr. Potter’s treatment of recent projects dedicated to uncovering clues to the Franklin mystery incorporates information from both historic and recent searches in a constructive, lively sequence. 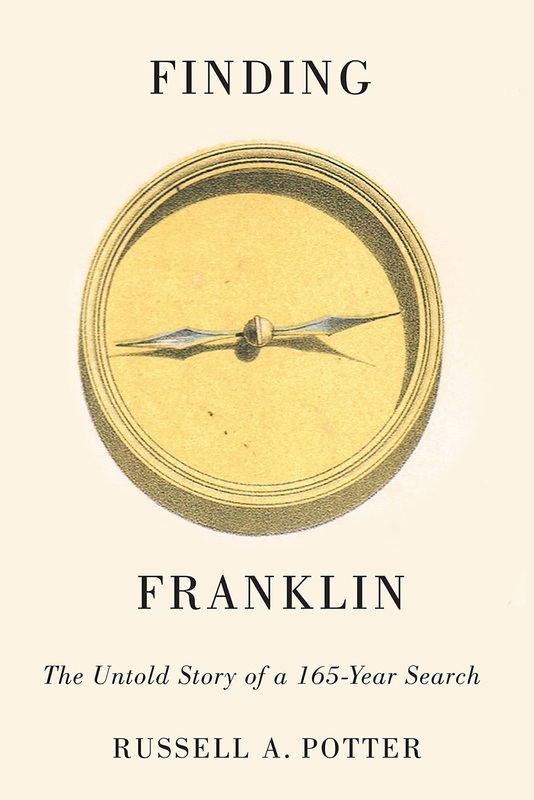 It juxtaposes clues in the writings of early searchers and Inuit testimony with descriptions of field projects carried out by recent searchers based on these early leads; it sympathetically illustrates the enthusiasm (indeed, the fanaticism) that captures so many individuals concerning all things Franklin. His descriptions of the landscape are evocative for me as, flying over the west coast of King William Island in 1993, I experienced real empathy for Franklin's men hiking and starving over that bleak landscape. Russell Potter is the one to tell this story, coupling his wide knowledge Franklin history with his conscientious attention to detail. — Margaret Bertulli, lead archaeologist on the 1993 study of the Franklin site at Erebus Bay. Dr. Potter has pulled together the Franklin story into a compelling narrative of a search that focussed the attention of the world on the far north a century and a half ago, and has refocused it today. He hasn’t dived into Arctic waters or excavated ancient middens; rather he is the generalist scholar whose task is to bring together the work of various specialists and dedicated amateurs to tell a tale never before told so coherently, a task in which he has succeeded admirably. — Kenn Harper, noted Arctic historian and author of Give Me My Father's Body: The Life of Minik, the New York Eskimo. I can think of no-one more suited to telling this story.